Realizing that Halloween was only a few days away, I thought to myself “Self, your house has no Halloween decorations, and thus, is Lame.” Being the crafty (and cheap) electrical engineer that I am, I took stock of my…stock…of electronic widgets and bits. After some thought, I decided on a couple of beady little red eyes peeking out of various windows would be appropriately festive, somewhat creepy, and very easy to through together. 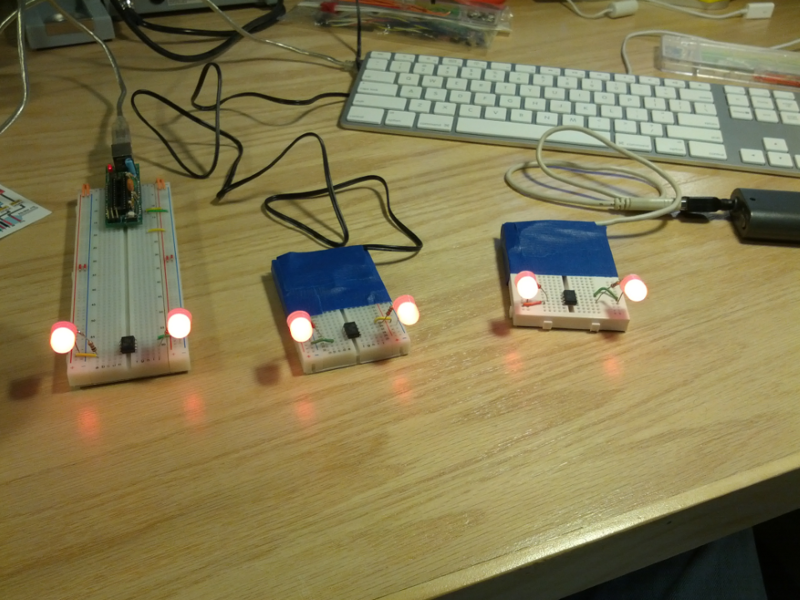 Each pair of eyes uses an ATTiny85 chip and two 10mm red LEDs. Since Halloween decorations displayed year-round are frowned upon by my homeowner’s association, I also wanted these to be temporary. Luckily, I had a few protoboards that I could tie up for a few days. Since this is a simple, temporary project, I made use of the awesome Arduino-Tiny set of “cores” for the Arduino IDE. Arduino-Tiny allows for a variety of ATTiny chips to be programmed directly form the Arduino IDE. There may not be 100% functionality, but it’s darn close. But of course the ability to blink lights is there, hehe. 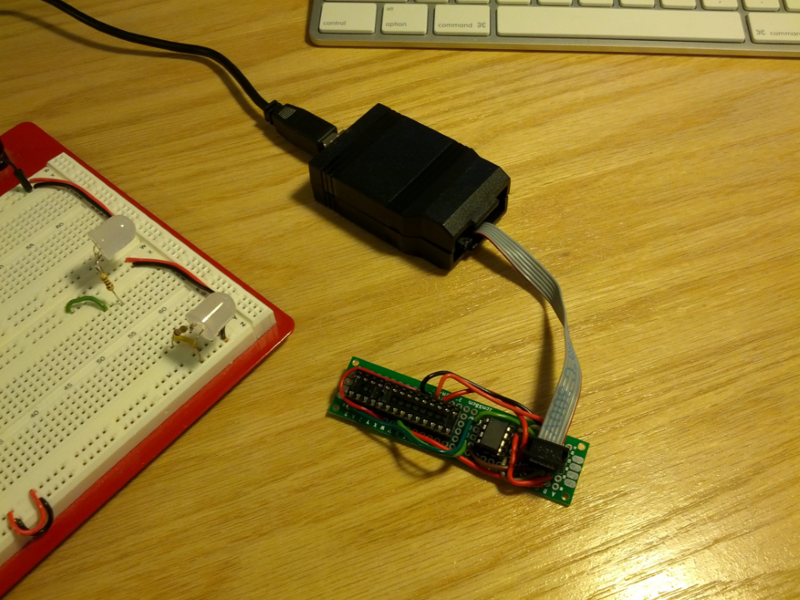 All I had to do was throw together the code and upload using my USBTinyISP. Using a little bit of ‘random’ allowed for a little bit of variety in the “blinking.” The effect is simple, but pretty neat. And now my house is less Lame.